One of the best enhancements we’ve made to our beauty and wellness routine lately? Adding high quality CBD-infused products. CBD, or cannabidiol, is a naturally occurring phytochemical found in the cannabis plant (as well as in kale, broccoli and other good-for-you sources). Because it’s non-psychoactive, it won’t get you high — but it can help alleviate pain, stress and inflammation while promoting greater relaxation and even a better night’s sleep. Which, of course, means a more beautiful outlook. A great way to reap the benefits of CBD is through topical applications that allow its healing properties to be absorbed through the skin. 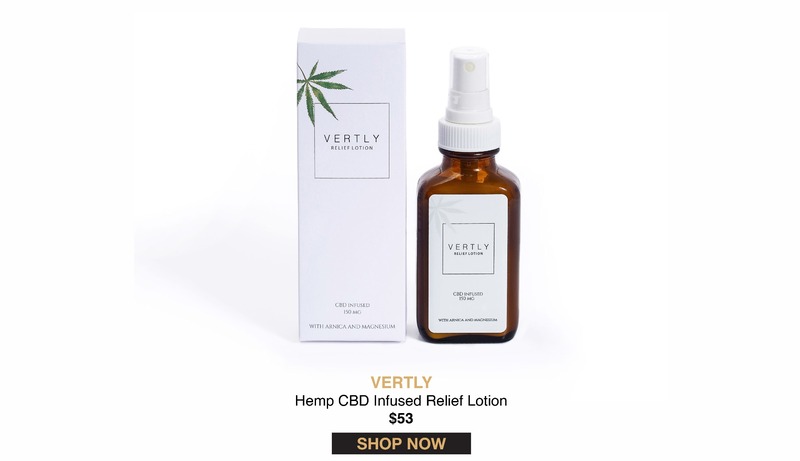 Vertly’s handcrafted skincare products — made by a husband and wife team in Northern California — incorporate the wellness-boosting properties of USA organically grown, full-spectrum CBD with other nourishing ingredients, including coconut oil, shea butter, cacao butter, kokum butter and jojoba oil. The result: luxurious formulas with maximum benefits. 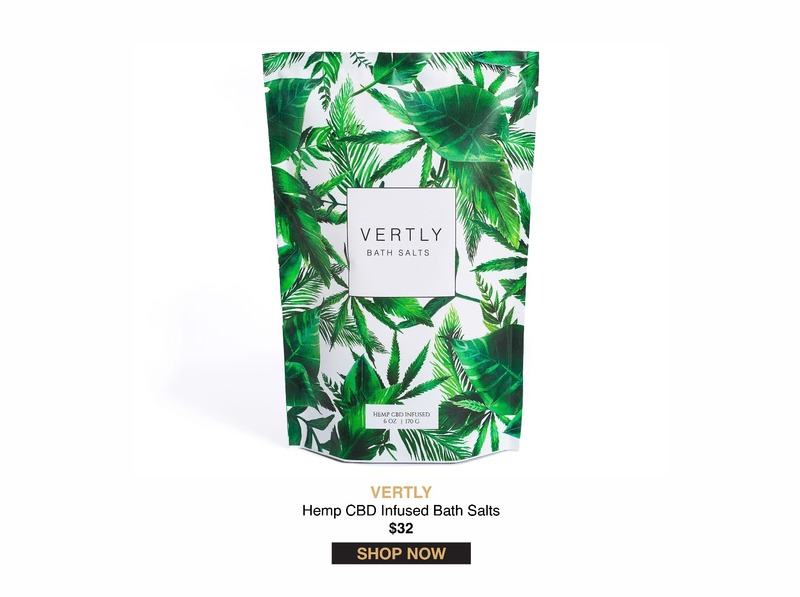 We love this mixture of natural healing salts, botanical infusions and hemp-derived cannabinoids to calm the mind and body. Try it to reduce aches and soreness after exercise or travel, or to soothe your senses before bedtime. 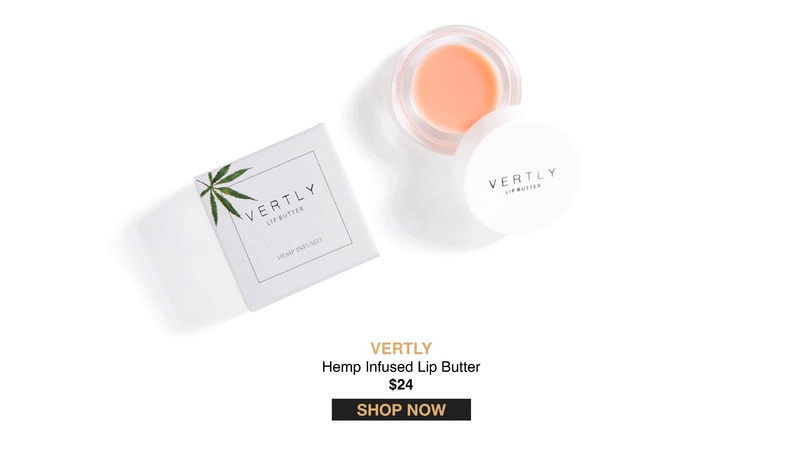 Vertly’s cult favorite balm will moisturize, heal and protect your lips, and can also be used anywhere you need a little TLC. A versatile favorite, we keep one in every purse. Smooth on this restorative, vitamin-packed lotion any time you need a pick-me-up. It’s made with full-spectrum CBD and a rich blend of organic plant oils, shea butter, healing magnesium and botanical herbs. Smooth on this restorative, vitamin-packed lotion any time you need a pick-me-up. It’s made with full-spectrum CBD and a rich blend of organic plant oils, shea butter, healing magnesium and botanical herbs.